Unlike the royal family from a hundred years ago, the royal family of the 21st century unfortunately has had all their dirty laundry aired in the media for the whole world to see. That is the advantage and disadvantage of the Internet and the media proliferation that has taken place in the past decade. Prince Harry, Kate Middleton, and Prince William – and now Prince George, even though he doesn’t know it – have all been faced with the relentless onslaught of public scrutiny, and it’s hard to imagine that they have any secrets that the public doesn’t know about. Alas, Radar has compiled an interesting list of factoids that you might not know about the royal family. For one, Kate and William have cute nicknames for each other, with William even calling Kate ‘babykins’ at one point. Unfortunately, this information was derived through the News of the World hacking scandal. Moving on. Another tidbit that not many people know is that Kate apparently initially got accepted to Edinburgh University, but decided to take a gap year and then apply to St. Andrews after it was made public knowledge that William would be attending. So was their meeting a coincidence? Well, conspiracy theorists say not. 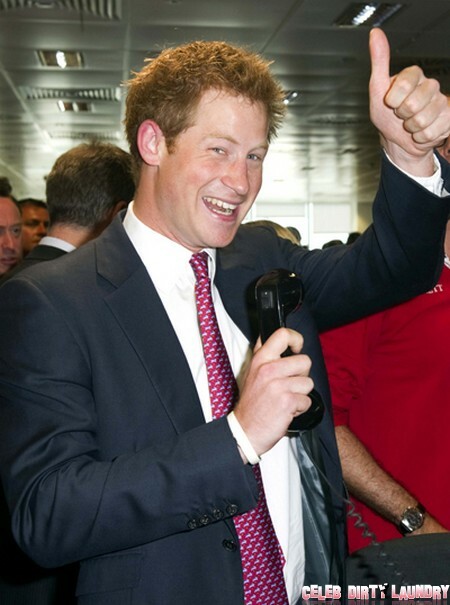 There’s also a story going around that the palace reps probably wouldn’t like about Prince Harry’s partying ways. According to an unofficial biography on Prince Harry, the youngest prince started drinking at the age of 12 and had his first cigarette when he was eight. Apparently, the parties started getting wilder and wilder while Harry was studying at Eton, and he supposedly had drugs-and-alcohol fueled parties in Prince Charles country house, so much so that it was actually dubbed ‘Club H’ by the press. And of course, who can forget Harry’s fondness for weed? But I doubt that surprises anyone, least of all his family. Finally, Prince Harry reportedly had a Facebook account until 2012 under the alter ego Spike Wells, but he was forced to shut it down after the naked photo scandal. Harry’s advisers, probably fearing of another leak, reportedly told Harry to shut down the account, just in case some enterprising hacker found it. What do you guys think? Do any of these stories surprise you? Did you already know about them? Let us know your thoughts in the comments. Prince William, Kate Middleton Furious Prince Harry Following In Princess Diana’s Footsteps?